Whitney Singleton has been in practice since 1994. 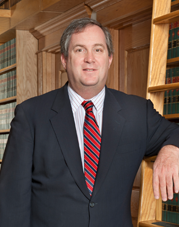 His specialty areas include real estate transactional work, real property development and zoning, municipal law, probate and estates, wills, and general litigation and appeals. Having represented both public and private sector clients, Mr. Singleton has a keen appreciation of the considerations and factors associated with land use and environmental review processes, as well as Article 78 proceedings and associated appeals. Irrespective of whether the client is a municipal entity or a private developer or landowner, Mr. Singleton enjoys navigating applications through the administrative review process in a professional and thorough manner. Invariably, the resulting project is consistent with the client’s goals and objectives while also serving as an asset to the community. Mr. Singleton served as counsel to the Village of Mount Kisco Planning Board and Zoning Board (1995-2000). Since 2003, he has served as Mount Kisco Village Attorney, counseling all boards, commissions, and agencies within the Village. Additionally, he serves as special counsel to several municipalities. Mr. Singleton is proud to be affiliated with several local charitable and civic boards, serving as counsel for many of them. He is admitted to practice law in New York, Connecticut, and Florida. Whitney is a graduate of Vanderbilt University (B.A. 1987), Franklin Pierce Law Center of the University of New Hampshire (J.D. 1992), and Georgetown University Law Center (L.L.M. with Distinction 1993). When not working, Mr. Singleton enjoys spending time with his family. He also enjoys fishing.